Two people were arrested Wednesday, accused of stealing bottles that were intended to raise money for cancer research, according to the Cumberland County Sheriff’s Office. Two brothers from Parsonsfield, Bryce and Riley, have been collecting bottles for Q97.9’s “Cans for a Cure” bottle drive for the past eight years. Members of the community helped out with the collection by dropping off cans at a tractor-trailer truck on Depot Street in Baldwin. However, last month they discovered someone had stolen half the bottles from the truck, which was almost full. 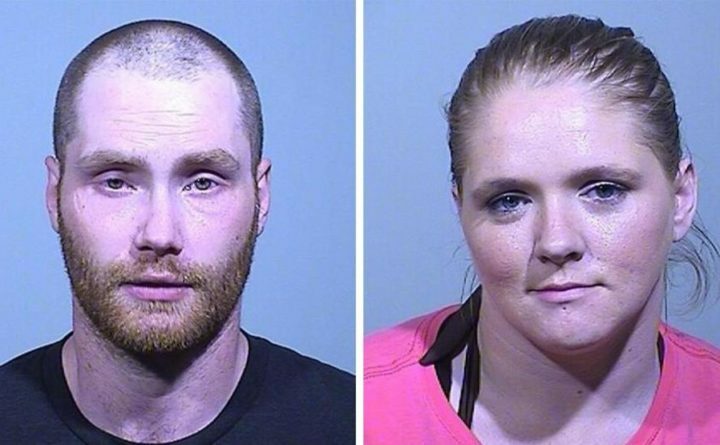 On Wednesday, deputies arrested 23-year-old Matthew Colby of Parsonsfield and 29-year-old Christin Parmenter of Newfield in connection with the thefts. Colby was charged with misdemeanor theft by unauthorized taking and Parmenter was charged with felony theft by unauthorized taking, due to previous theft convictions. Deputies said Colby also was charged with of aggravated forgery, failure to give correct name and DOB, violating conditions of release and operating a motor vehicle after license revocation. Colby gave a fake name to deputies, but they recognized him from previous arrests and confirmed his identity through tattoos, according to deputies. Parmenter’s bail has been set at $100 cash. Colby is being held without bail. Deputies believe other people may have been involved. The investigation is ongoing.